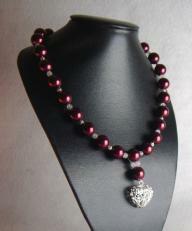 The smooth round Shell Pearl is a gorgeous rich burgundy which I've used with soft white Jade and filigree silver plated balls. 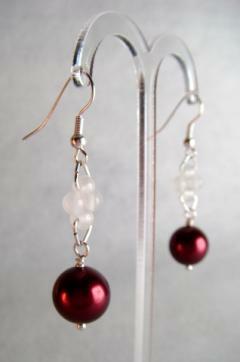 These earrings are fully coordinate, using silver plated findings, and would look beautiful worn with hair up or down. 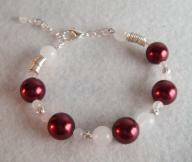 The Winterberry Jewellery Collection is perfect for a Winter Bride, combining rich reds, silver and white.